Erin FH Hughes is the Curator of Collections. She spends a lot of her time making sure the collection is properly cared for while using artifacts to educate the public. During the dreary winter months we received an e-mail from the Clearing House Association, L.L.C. asking if the EHC would be interested in a portrait of Charles Gates Dawes, painted by John Doctoroff. It was a handsome portrait with great history and we couldn’t pass it up! In late May, the painting arrived at the Evanston History Center in a large crate which barely fit through the front door! Once we managed to get the crate into the house, we took the lid off and were shocked at how stunning the portrait was. We were also shocked that Dawes was holding a pipe. A portrait that we have on display in the Dawes house is a formal portrait of Charles sitting with his hand on his lap. His hand is lying in a funny position, almost as if he had been holding something. The story goes that originally the painter had Dawes holding a Lyon pipe, the favorite pipe of General Dawes. When Caro saw the painting she was unhappy that the pipe was in it and had the painter take it out. Portrait of Dawes without his signature Lyon pipe. 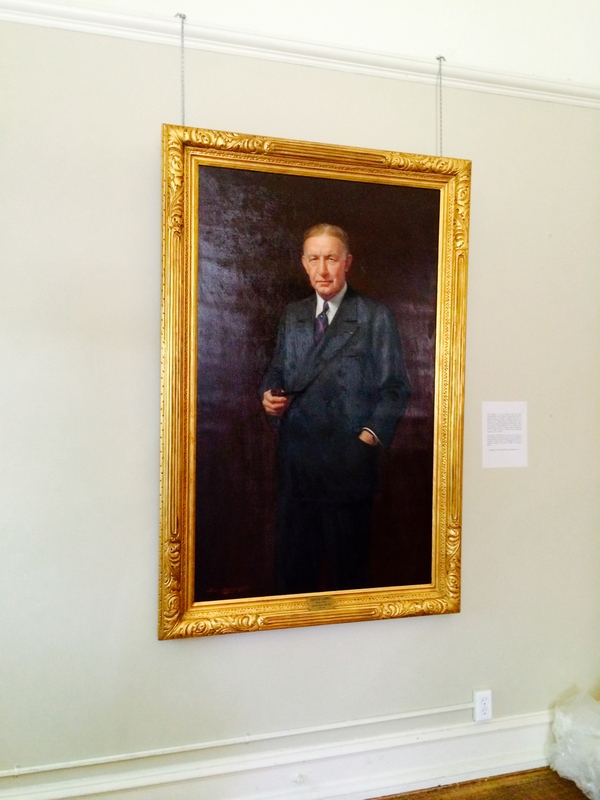 The painting donated by the Clearing House Association, L.L.C. is one of several works that were commissioned by the Chicago Clearing House for their corporate office in Chicago. It recognizes Dawes as a leader of the Clearing House Association. Dawes was a member of the Clearing House Committee from 1920-1921. 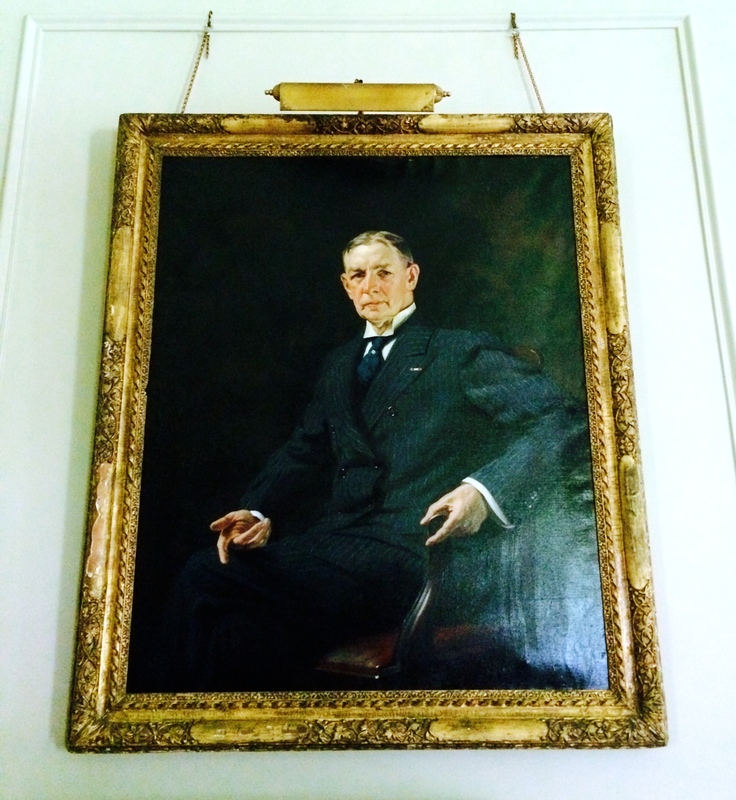 This portrait was displayed in the Chicago office, with portraits of other bankers who were leaders of the Clearing House and the Chicago banking community, until a merger with the Clearing House Payments Company, L.L.C. in 2003. The painter, John Doctoroff, was born in New York in 1893 and died in Chicago in 1970. He was a well-known portrait painter whose work included a famous portrait of Abraham Lincoln, based on photographs, as well as campaign portraits for Calvin Coolidge and Charles Dawes. Come see the new donation, which is now on display at the Evanston History Center. Stop by for a tour or for our upcoming Ice Cream Social.